I really want to unclutter my house, but every time I go to do this I get emotional and start reminiscing in my mind. So, back in the pile/box it goes. I can’t seem to move forward. I know if you haven’t used it in 2 years you should get rid of it. HELP!!! I think there are two main types of objects in our homes — utilitarian and sentimental objects. Utilitarian objects are useful items like plates and chairs and blenders. The two year rule you mentioned primarily applies to these types of objects. If you don’t have use for a utilitarian object over the course of two years (or one year), you should donate the item to charity or sell it on Craigslist or give it to a friend who wants it. My guess is that you don’t have much issue parting with these types of objects since they hold no emotional attachment. Remember that clutter is anything that distracts you from pursuing the life of your dreams. If you have so much sentimental stuff that it is causing a stressful mess or taking up room in your home for things that matter more to you, you will want to cull the clutter. But, you don’t have to get rid of all your sentimental stuff. At least for me, some of the things I keep for sentimental reasons are objects that reflect what I value most. My grandmother is one of my most favorite people on the planet, and having her rocking chair makes me smile and remember all the wonderful times we have shared. So, I keep that exact chair. However, I don’t keep every card she ever sent me or every gift she ever gave me because I don’t have room to keep everything and the chair elicits the happiest of all the memories. With sentimental items, it’s usually a good idea to aim for quality over quantity. Think about sorting through your sentimental items like an editing project — you’re not getting rid of everything, you’re just getting rid of the excess that distracts from the really good stuff. For you, I recommend choosing one nice waterproof box (like a plastic bin) and calling it your Keepsake Box. Do not use a cardboard box as critters and pests can eat through it and water can soak into it and ruin your keepsakes. Then, only put the sentimental items you decide to keep in your one Keepsake Box. You’ll need to make guidelines for what sentimental objects you wish to keep and which ones you wish to purge. Items to get rid of might be things that are broken or damaged, things that you don’t remember exactly what they represent, things that are associated with bad memories, and things that you value less than another object that represents the same memory. Also, grab a friend and a digital camera as you’re going through this process. Have the friend hold up stuff from your current stash (Rule #1: YOU can’t touch any of the stuff. Research has found that it’s harder for people to get rid of things they are holding). Any item that doesn’t meet your “keep” criteria, photograph it with a digital camera before having your friend help you get rid of the item. This way, if you ever want to see the object again, you can simply pull up the digital image file on your computer. That file takes up a lot less space in your house than the actual object did, and you’re still able to look at it whenever you want. If you don’t have a friend who would be good at helping with this sort of uncluttering project, hire a professional organizer to assist you with the work. Interview a few and choose one you trust and believe can best help you. Also, I strongly recommend displaying and using your sentimental items that have some utility. If you’re proud of your college diploma, frame it and hang it on the wall of your office as a daily reminder of your accomplishment. If your mom made you a quilt, get it out of storage and wrap yourself in it on chilly evenings. Hiding important and useful sentimental objects in a box is a pretty lousy way to enjoy something. 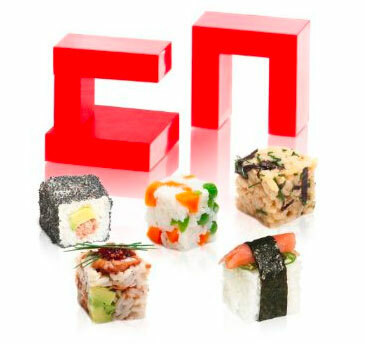 Use your Keepsake Box only for those small things that lack utility and would be awkward to display. For instance, I have a copy of my wedding invitation in my Keepsake Box. I don’t have any use for the invitation and I don’t have a desire to display it, but every year on our wedding anniversary we pull it out and look at it and talk about how much fun we had on our wedding day. I think Keepsake Boxes are perfect for this type of item. Thank you, S., for submitting your question for our Ask Unclutterer column. Do you have a question relating to organizing, cleaning, home and office projects, productivity, or any problems you think the Unclutterer team could help you solve? To submit your questions to Ask Unclutterer, go to our contact page and type your question in the content field. Please list the subject of your e-mail as “Ask Unclutterer.” If you feel comfortable sharing images of the spaces that trouble you, let us know about them. The more information we have about your specific issue, the better. When I was in third grade, my classmate and friend Julianne told me she wanted to grow up to be a pediatrician. Today, she’s a pediatrician. In third grade, I didn’t have that kind of determination and foresight — I seem to recall I wanted to grow up to be a giraffe — and I’ve always been envious of Julianne’s focus. Her desire to become a pediatrician was something that meshed with her personality and was an idea she came up with on her own. However, her parents listened to her wishes and helped her develop the diligence and dedication needed to be successful in school and her future career path. One of the things they did was create clear goals to help her establish positive habits. In elementary school, she had a chore chart that identified what she needed to do every day (brush her teeth, feed the cat, make her bed, read 20 pages in a book, practice piano, etc.). Her parents trained her how to complete each of the chores, monitored and guided her to see that she understood how to do each of the chores, and then reviewed her chore chart with her each night before bed to see what she had successfully accomplished. If she did the chore properly, she received a check on the list. If she didn’t do the chore, she did not get a check. After accruing a set number of check marks, she would get a reward that she and her parents had agreed upon at the start of the week (extended television time, a book of puzzles). Julianne’s mom also supervised her as she did her homework at the kitchen table after school every day and had her review what she learned in each of her subjects, regardless if she had homework for that subject. After reading books like Willpower and Top of the Class, I understand why Julianne’s parents’ guidance was such a strong contributing factor to her achieving her life-long goal to become a pediatrician. From an early age, her parents helped her to develop the skills essential for her success. Set clear goals for young children and/or help them to set clear goals for themselves as they move into middle and high school. Stay engaged with your child’s progress. When starting new routines and taking on new chores, it may take a few weeks for your child to really master the task. Don’t be obsessive, simply make it clear to your child that you are monitoring his behavior because you love him and wish for him to succeed. When creating rules, have a reason for creating each rule and be realistic with the rules. Don’t create rules for the sake of creating rules. Have rules that promote positive behaviors and skill building, and rules that are appropriate for the age of your child. A two-year-old child cannot be expected to hang her coat up on a hanger on a closet rod she cannot reach, but she can be expected to hang her coat on a hook that is only three feet off the ground. Consistently enforce rules and expectations, without exception. If two parents are in the home, both parents have to respond the same way every time whenever a rule is broken or expectation is unmet. For young children, this might be returning to a playroom to pick up toys if they are left out on the floor each and every time it happens. Meaningfully reward a child when he achieves a determined valuable milestone. Rewards should be established when goals are set so that children know what they are working toward, and the reward should be given immediately when the goal is met. If a child is to receive a pack of stickers after five days of successfully doing all of his chores, the stickers should be given as the last chore is completed. Personally, the most difficult aspect of taking on these responsibilities is consistently helping my two-year-old son through the process. If I’m tired after a long day at work, I want to take the easy way out and do his chores for him to save time. This isn’t fair to him (he doesn’t earn check marks) and then there is the repercussion that the following night he protests doing the chore because he knows I can do it for him. Being consistent, though, is what he needs to properly develop the skills … so now I’m working on my willpower. All Unitasker Wednesday posts are jokes — we don’t want you to buy these items, we want you to laugh at their ridiculousness. Enjoy! After years of writing about unitaskers, I’m finding that most kitchen unitaskers aren’t about saving time, but rather about replacing basic skills. In this case, watching a free, eight-minute video on how to make sushi rolls could save you the $25 you might spend on this device. Thanks go to Jessica for sharing this unitasker with us. With all the talk on our site recently about willpower, I wanted to bring in career expert and author Jonathan Fields to write about the connection between order and workplace productivity, creativity, and innovation. 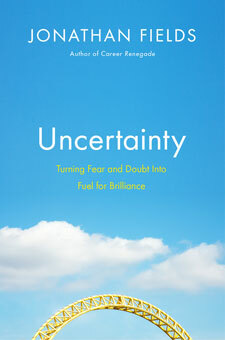 You may remember him from when we reviewed his first book Career Renegade, and he has recently published a second book on how to channel fear into career success in Uncertainty: Turning Fear and Doubt into Fuel for Brilliance. Thank you, Jonathan, for taking time out of your busy schedule to share your advice with the Unclutterer community. Over the years, I’ve noticed a strong connection between the state of my physical space and my ability to do high-level creative work. When my space is in disarray, my thoughts are generally also in disarray. I can still function, I can come up with ideas, write decent-enough content and solve-problems. But, I always know that I’m not operating anywhere near my true potential. And it’s also not about cleanliness, or complying with someone else’s idea of order. It’s really about having some level of logic to the state of my physical space that works for me, even if nobody else can see it. Turns out, there may well be a neuroscience basis for this. Without organizational systems, your brain has to work harder to hold virtual organizational structures in its circuitry, relying on greater levels of working memory. This taxes a part of the brain known as the prefrontal cortex (PFC). The PFC is also responsible for willpower and it is one of the parts of the brain that keeps anxiety, impulse and fear in check. Problem is, it’s easily overwhelmed and it’s energy is quickly depleted. When the PFC fatigues, you’re far more likely to both give in to impulse, distraction and resistance and pull away from the work needed to create great art, experiences, ideas and businesses. A depleted PFC is also less effective at tamping down the anxiety and fear that often rides along with taking action in the face of uncertainty, a touchstone of creativity and innovation. If you’re looking to cultivate an optimal mindset for creativity and innovation, explore shifting some of the organizational/working-memory workload from your brain to more other-than-human organizational systems. Especially ones that allow you to regularly download and capture information and ideas that would normally be held in working memory. A simple place to start is a voice-capture app for your smart phone or tablet, coupled with something like Evernote to then easily download the recording (Evernote’s app now includes a voice recording feature), to categorize and store your ideas. Or, a pocket moleskine works well for analog types who want to record their thoughts. These simple shifts can change the neuroscience and psychology of the creative process in very subtle, yet impactful ways. The multifunctional WeeCANDU Chair can be transformed into a playtable/desk, bedside table, easel, step stool, rocking chair, regular chair, and magazine/book rack. After years of auditioning the most popular to-do management methods (and a few obscure methods, as well), I’ve found that it’s incredibly obvious which methods are likely to be helpful and which ones are duds. For a method to be good at actually getting me to do my work, it has to have the following components. Reader Jenny is worried her clutter and lack of house-keeping skills is damaging her marriage. I am 100 percent serious when I say that I don’t understand why someone would prefer to use one of these butter cutting devices instead of a knife. Organizing small things, specifically small things you regularly need at your fingertips, can be frustrating. Most of the pre-made organizing products for small things aren’t very attractive and/or made exclusively for drawers. While searching for a way to organize my son’s bath supplies, I came across an attractive organizing system that is made specifically for small things that sit out on a counter or hang on the wall. The Stash by Boon. One of the most fun ways to motivate yourself to unclutter your home and/or office is to invite someone to visit. Reader Kathryn makes suggestions for how to keep sponges from cross contaminating your kitchen. Don’t let your eyes tear up uncontrollably again. Take control of the situation and slip on some Onion Goggles. Jacob’s office is a wonderful example of how to arrange a desk when you have two separate needs for your work space. In this case, there is drawing work to be completed on the Wacom Intuos 3 tablet on the right side of the desk and more traditional office work and digital image manipulation to be done at the computer on the left. Instead of trying to fit it all into the same space, Jacob has literally made two workstations, separated by a filing drawer, with two separate desk chairs. The long desk is a great way to address this issue, and with the pieces from Ikea it isn’t an incredibly expensive solution. The cable management is also nicely done, especially since the more than six pieces of equipment all come with multiple cords. There is also something very pleasing about the two tiny trees by the monitor being the only real decoration in the space — tiny trees! A basket or bowl for the pocket contents might be a nice addition, but certainly not a requirement since I imagine these things don’t remain on the desk after Jacob stops working. Thank you, Jacob, for your submission to our Flickr group. 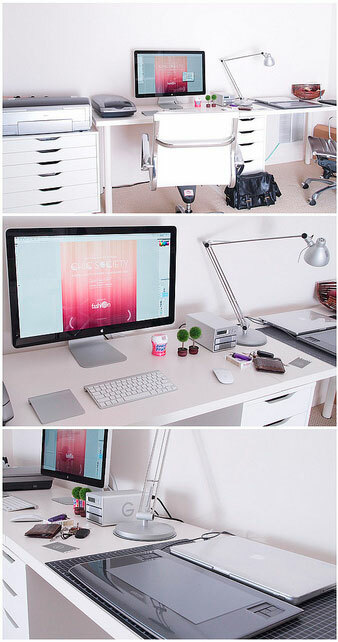 Want to have your own workspace featured in Workspace of the Week? Submit a picture to the Unclutterer flickr pool. Check it out because we have a nice little community brewing there. Also, don’t forget that workspaces aren’t just desks. If you’re a cook, it’s a kitchen; if you’re a carpenter, it’s your workbench. Having a positive attitude about the future. A general sense of optimism about the future helps people to believe they will ultimately achieve their goals. Goals and objectives cannot conflict with each other or with your world view. The more congruent your goals and objectives are, the more likely you are to achieve them. Focus on just one large goal at a time. If you try to stop smoking and lose weight at the same time, you’ll probably end up failing at both. Stop smoking first, then move onto the weight loss (or whatever large goals apply to you). Precommit to success and don’t give yourself alternatives. When speaking, say that you are un unclutterer, not that you are becoming one. If you are trying to follow a healthful diet, make rules like “I don’t eat doughnuts” and “I eat green vegetables every night for dinner.” When you precommit to how you will behave, you won’t snack on a doughnut in the break room at work because you are not a person who eats doughnuts. Use David Allen’s Getting Things Done system. The authors are big fans of Allen’s system for creating precise next actions and using the tickler file. Knowing exactly what you need to do next and when items need to be completed frees up your energy to focus on the work and not trying to remember to do the work. Work on your goal every day. High school valedictorians are rarely students who cram for exams. Rather, they review material and consistently study every day. The daily habit of working toward a goal produces dependable, positive, long-term results. Monitor your actions daily. Keep track of your progress using a smart phone app or computer program, write a sentence or two in a journal, or update your progress on Twitter. Then, be sure to review your entries so you can see how well you have progressed toward your goal. Give yourself relevant rewards for achieved milestones. Obviously, achieving your goal will be extremely rewarding, but the road to success might be a long one. Set up milestones throughout the process and award yourself when you meet these milestones. As someone who lives in the middle of a forest, I have numerous pine cones in my yard. I also have pine needles, dead leaves from deciduous trees, sticks, acorns, and remnants of what used to be flowers before the deer and rabbits decided to have a snack. Before I can mow the yard, I have to rake up all the debris so these things don’t clog up my reel mower. My neighbors rake their yards so these things don’t become deathly projectiles shooting out the side of their gas powered mowers. We all have to rake before we mow, so why make things more complicated with an additional step of first collecting all of the pine cones into a tube? Once you pick up all the pine cones, do you dump them into the compost bin or rubbish pile with the other stuff you raked up separately? Are pine cones some special class of yard debris that require VIP treatment? Should I also be hiring a limo and taking my pine cones out for a night on the town? Are they too good to be touched by a rake? Maybe the Coneivore is for artists who work with pine cones as their medium? Oh, or maybe Girl Scout leaders who help kids turn pine cones into squirrel feeders by covering them in peanut butter? My gut tells me that there is some intended purpose for this device that I am just failing to recognize. Share your guesses in the comments, and thank reader BG for finding it for us. Choosing to become an unclutterer doesn’t take much effort. You decide you want to get rid of the distractions that get in the way of the life you desire. That aspect of the process is simple — but what comes next isn’t necessarily a walk in the park. Actually becoming an unclutterer requires a good amount of energy and willpower to purge the distractions, set up working organizing systems, consistently maintaining the order you’ve established, and pursuing the life you desire. It’s not hard, but after a full day at the office and tending to other responsibilities, your energy levels may be spent. It can be more tempting to plop down in front of the television and turn off your brain or to escape into a good book than it is to sort mail, put away folded laundry, file important documents, take a load of your child’s out-grown clothes to charity, and spend quality time with your kids, favorite hobby, or whatever you have deemed truly important to you. 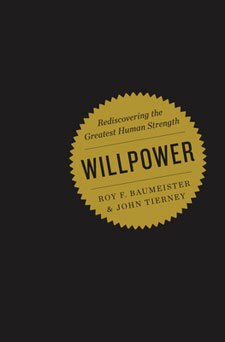 In the recently published book Willpower: Rediscovering the Greatest Human Strength, authors Roy F. Baumeister and John Tierney explore the science behind willpower and self-control. They analyzed findings from hundreds of experiments to see why some people are able to keep their focus and determination for extensive periods of time and others aren’t. Their book also looks at how David Blaine can complete incredible acts of endurance, how to predict which graduate students will become tenured professors, why some anti-smoking and anti-drinking programs are more successful than others, why David Allen’s Getting Things Done method works for so many people, and other case studies that personalize the research. Best of all, they report on proven methods for strengthening these skills, so readers can increase their willpower and self-control. Physically remove the temptation and/or distraction. For example, if you want to stop watching television during the week, remove the power cord from your television and stick it in a drawer. If you’re tempted to jump on Facebook instead of working on a report, install a program on your computer that bans you from looking at Facebook for a set amount of time or reports to your boss if you’re looking at Facebook. One of the reasons Baumeister and Tierney say AA is effective at getting people to stop drinking is because the attendees are at an AA meeting and not in a bar. Take on a seemingly unrelated improvement in behavior. Working on your posture or using complete sentences every time you speak (“Yes, I would like a drink of milk” instead of “Yep”) will help to increase willpower and self-control in other areas of your life, as well as in the area of your attention. Set routines and stick to them. The book’s authors report that people who floss their teeth every day tend to have more willpower and self-control than those who don’t. Initially “… use your self-control to form a daily habit, and you’ll produce more with less effort in the long run.” Stated another way, start by using your willpower to create positive daily habits and routines. In three to six months, you’ll simply do these regular tasks without much effort and you can use your extra energy on larger tasks that require more self-control. Tasks on auto-pilot don’t use the same stockpile of energy as one’s you have to consciously complete. Surround yourself with people who can help you build your willpower and self-control. This might include getting an accountability partner to help keep you on track when you’re uncluttering or hiring a professional organizer to guide you as you tackle the mess on your desk. If you want to start exercising, it will benefit you to work with a personal trainer or to join an online forum to talk about your progress with other people using the same exercise system. It’s easier to not smoke when you’re surrounded by people who aren’t smoking and it’s easier to be organized when surrounded by people who are organized. As mentioned previously, this book is stocked with scientific research that provides a wealth of tips and strategies for improving your willpower and self-control. While reading the text, I was constantly amazed by how much of it was directly linked to uncluttered living and creating what the authors call “orderly cues.” To learn this information for yourself, check out Willpower: Rediscovering the Greatest Human Strength. Also, continue to check back to our posts as I plan to refer to the text a few more times over the next couple weeks. The section of the book on teaching self-control strategies to children was incredibly helpful and I definitely want to share the information relevant to uncluttering with you all. I highly recommend this book to all of our readers, regardless of where you are on your uncluttering and organizing journey. Have energy. If you’re tired or deprived of nutrients, simple tasks like returning objects to their storage locations, taking the time to do a task properly, staying focused, and even making decisions are all difficult to do. When you get the proper amount of sleep your body requires and eat healthful meals and snacks you improve your chances of being on task and having consistent follow through over the course of your day. Taking care of yourself makes it easier to take care of the mess. Own less stuff than you have space to store. When objects aren’t crammed into a space, it’s easier to find objects and return them after you’re finished using them. If your filing cabinet is overflowing, you can’t put new documents into it. When your entryway closet is jammed packed, you throw your coats over chair backs instead of hanging them up on hangers. Write it down. The more projects, commitments, and worries you have floating around in your head, the harder it is to focus on your work, as well as remember all the stuff you have to do. Get all of your actions out of your brain and onto a to-do list or calendar. In Peter Walsh’s “It’s All Too Much Workbook” he discusses the physical limitations of storage and how to use math to determine how much you can keep and have your home be clutter free. I had no idea what 20 lbs of fat looked like — simply looking in the mirror was ineffective — so I jumped online and ordered 20 Fat Replicas, 1 lb each. Reader Lisa, a college student, wrote in to Unclutterer asking if we might be able to help her with her backpack woes. Now you can buy a music playing, batteries required, painted toy to substitute for nature’s fun: The Hot Potato! Drafting a personal Strategic Plan can help to keep clutter — especially time and mental clutter — from creeping into your remarkable life. Can a deep freezer save you money on meals? The expense of a deep freezer plus the cost of the electrical energy to run it is less than the amount we’re currently wasting when we buy our food in smaller portions. The reason this week’s workspace instantly caught my attention is because the entire setup makes it possible to quickly and easily clear the desktop to provide a large work surface. The monitor is on an arm attached to the wall, so Psleda can adjust its location (and the monitor isn’t on the desk at all). The MacBook stand dramatically changes the footprint of the laptop, making it significantly smaller. The wireless keyboard is cable free and can be stashed in a drawer if necessary. And, the majority of items are either stored in the desk drawers or in the shelving above the desk, which takes wonderful advantage of the vertical wall space. An inspiring workspace — thank you, Psleda, for sharing it with our Flickr group.